It's Saturday, so time for a new dog song at Talking Dogs. Today's selection is an upbeat folk / bluegrass tune with some barking good harmony. My Dog was written by Cedar Break's banjo player Keith Behunin and was inspired by his own dog. 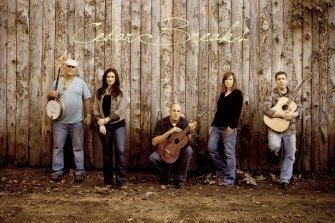 This original dog song is performed here by Cedar Breaks and is available on itunes and Amazon. Sit. Stay. Relax and enjoy My Dog by Cedar Break. Then fetch some more dog songs at Talking Dogs. You'll be surprised how many barking good original songs about dogs and music videos we've collected over the years. "No Love was greater than that of my dog. " "Fetch attention deficit" :D Cute song.